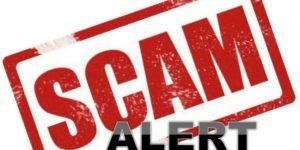 Someone is sending text messages, automated calls and emails asking for money or claiming that money is owed on an account. The message states to email a random name @sequinlumbercompany.com. This is in no way affiliated with our company. IT IS A SCAM. We apologize that someone is causing distress and crediting that distress to our company. Please be assured that we are a small independently owned company that operates in the state of Michigan only and would not solicit anyone via phone or email for money.